How have I come to my beliefs??? We were not born with any human beliefs, we were pure beings before we made the choice to come forth from Non-Physical energy into this physical world. If you’ve had your own baby or been around other people’s babies you’ll understand what I mean. When we’re new to this world, we do not hold opinions of how when and why anyone should be doing anything, we simply cried for our personal needs we required for survival; food, warmth, comfort and love. Although there’s nothing wrong with the societies we live in, we do easily pick up the vibration (thoughts and emotions) of those we’re close to as we grow up, and because many weren’t aware of how they were creating their lives, it seems very predictable that we also may not be aware of how we were creating our lives. In the big picture, this doesn’t matter for we’re all on a journey of self discovery to some extent, depending on where we currently are and what we know, but it’s also true to say we’re wanting the best possible experience in this life, for when we know how we’re creating our life we can reach places that may have only been distant dreams or wishes in the past. 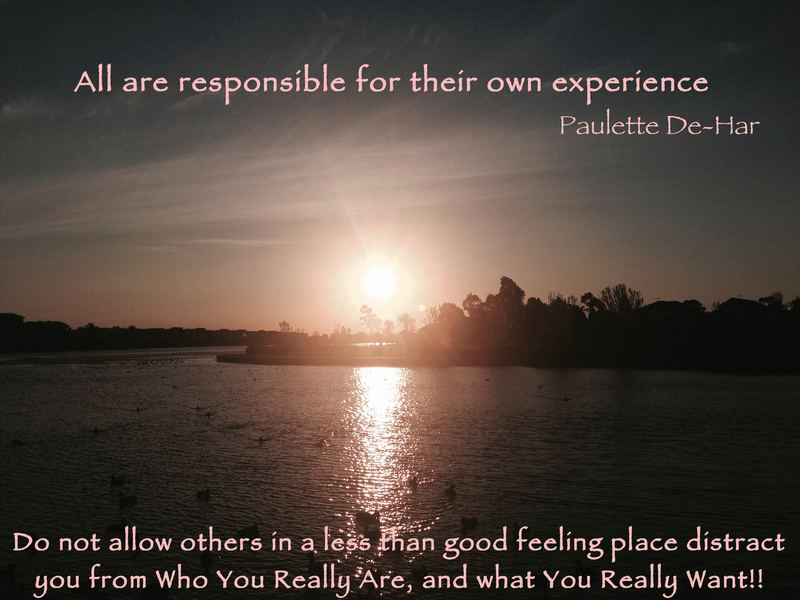 So what do my beliefs have to do with creating my life experience? I’m sure you’ve noticed that every time you’ve had a thought the physical manifestation of that thought does not immediately appear, so what’s required for the full physical manifestation of anything? Power and momentum is required and is achieved through maintaining focus over time until you feel strong emotion, positive or negative, and if that focus is maintained, the physical manifestation must eventually come, it is Universal Law! So as you think a thought many times, you will attract a physical manifestation that increases your belief, for now you have physical evidence of what you were thinking, that you now observe and think about more, and so it becomes a strongly held belief. So a belief is simply a thought that has been focused on over and over again that has attracted physical evidence of it, which then becomes a strongly held belief and the more physical evidence you receive the more firmly grounded your belief becomes. So it’s easy to see how our beliefs come about and why they are not easily changed, they came into being with much attention and focus and are supported with an abundance of manifested evidence of the dominant vibrations (thoughts and emotions) within us. This is the powerful Law of Attraction in action, but what happens when a manifestation turns up and we cannot see what thoughts we’ve had that have created it? 1. When we’ve held a belief for a long time, it becomes part of who we are, and we may not be consciously aware of the thoughts we’re thinking now are coming through a filter of these strongly held beliefs. 2. If we have not been aware we are creating our life experiences through the thoughts and emotions we have been thinking and feeling, we may not have exercised any restraint to what we were giving our attention too. 3. The thoughts we’ve had that have pre-paved the way for the eventual physical manifestation may not exactly match, but the dominant feeling of our thoughts and the feeling of the physical manifestation always matches, you get how you feel. So this can make it a little tricky to see the connection between our thoughts and our manifestations, for we may be receiving something unwanted in our experience we’ve never specifically given conscious thought to, but if we look at the underlined beliefs and how we were generally feeling about this subject the manifestation will always match those dominant beliefs and feelings, and if we feel they don’t, we may not be aware what our beliefs and real feelings are for they may have been held for so long, they have become our normal way of being. Depending on what you believe, I’m either overjoyed or sorry to tell you,(it’s usually a mixture of both to begin with!) We are the ones responsible for all that is manifesting in our lives, it matters not whether we are not aware we’re creating our life or whether we are doing it deliberately, the truth is the same, you get what you feel, focus and believe in, every time! So what are you believing in? Are you believing in all the evidence that surrounds you that this world is not good and getting worse, or are you believing the evidence that is all around you that this world is good and getting better? Because it’s all “out there,” both wanted and unwanted, for you can focus and attract to you the wonderful world you want to see, or you can focus and attract to you the world you detest and do not wish to experience. Remember as you judge others and focus on what you feel they are doing that is wrong, so you begin the attraction process and the Law of Attraction brings you more evidence of that which you are focused on and believe. The Law of Attraction is not judging anything that anyone is vibrating as “right or wrong,” but is matching the dominant vibration you have sent out and returning it to you in the form of physical manifestations. This is a choice but if we have not been aware of the choices we’ve been making, and instead have observed whatever was in front of us or the things in life we’re not wanting, it probably doesn’t feel like a choice. It is a process, and it does take effort to move our beliefs into more of what we are wanting. It doesn’t matter who we are or where we’re sitting in relation to what we are wanting, we are all trying to live the best life we can, it’s just much easier when you understand how you have created your life. It’s a good idea to pay attention to how you are feeling, for your feelings are communication from the Non-Physical part of you indicating where you are in relation to what you’re wanting, and as you do improve how you feel, this will improve what you are attracting which then increases and strengthens your belief, and so the cycle starts again but in the direction of what you are NOW wanting! Previous Article Are you a teacher??? Next Article Special does not mean better… Or does it?? ?